Click on any of the sections below to go directly to that section of this document. 5) Petition To Protest Nest “Cut-Down” – Please Sign! 6) Officials to Send letters to: Please send! 1) Community Plan: What the Citizens Want! 3) Public Protest Schedule: Please attend or write! 4) The Eagle Mask — Template to make Mask. JUST A WASTE OF SPACE: Destruction of the Bald Eagle nest on Croydon Drive, Surrey and the debate about the value of wild spaces in our urban environments. “… you don’t know what you’ve got 'til its gone. The recent vandalism of a Bald Eagle nest near Croydon Drive in Surrey caused outrage amongst a wide range of people. This event, while important in itself, has acted as a catalyst for a much broader debate about the place of wild spaces in our increasingly urban environment. Basically stated, this boils down to a simple question: Should urban wild land (and the wild animals that live there), be vigorously protected or is it just wasted space that should be developed and turned into money? This is not a minor issue raised by a bunch of naturalists who are out of touch with modern economic realities. Remember – decades ago they gave our Province the name: Super Natural British Columbia. Remember why? We still have wild areas that can be saved from development and protected for future generations but urgent action is needed now. If citizens become involved then that loud voice will help persuade decision makers to avoid short term gains in favour of more enlightened far sighted policies. This short review is intended to provide interested citizens essential background knowledge concerning urban wildlife and their need for protected living space. It uses the destruction of the Croydon Drive nest as a perfect example of the results of unregulated development driven by nothing other than a desire for more money. Effects of the Croydon Drive nest vandalism. Bald Eagles mate for life and this particular pair had built and maintained a large nest in a Cottonwood tree near Croydon Drive in Surrey that had stood for at least 10 years. By the time of its destruction, the nest had likely grown to a weight around 300 pounds. It was easily visible from Highway 99 and was well known to local residents. 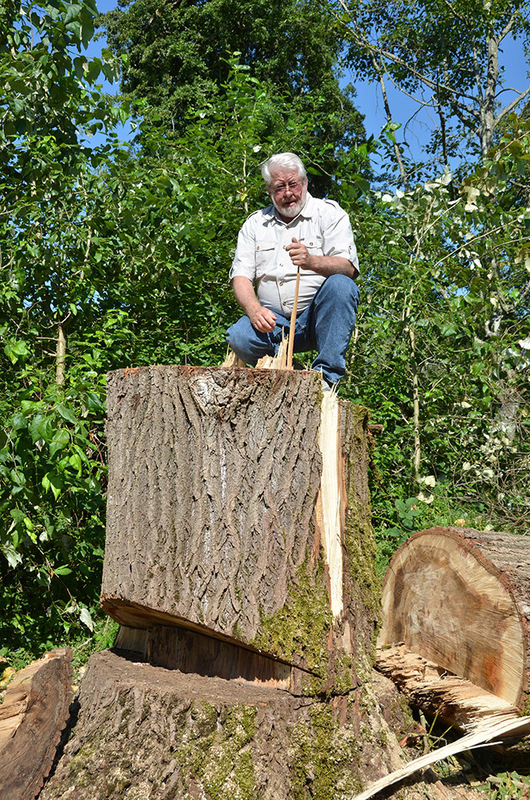 On 24 July, it was reported that the trunk had been severely damaged by recent deep chain saw cuts. The tree had not been completely cut down but the trunk had been so badly damaged that the tree, and its nest, had to be felled for safety. No permits had been issued for the removal of the tree so this act of destruction contravened the Wildlife Act and was clearly illegal. It is not yet known who instigated and carried out this act of vandalism. Each breeding season, local observers watched as the pair mated, hatched and then raised, their chicks. The first flight of the new chicks was anticipated every year and made a memorable sight for all observers. Over its life span, the mating pair had likely raised over 15 chicks. Unfortunately, if a nest is invaded, the pair will often fail to return so that unbroken line may have come to an end. This act is wrong at so many levels that it is difficult to know where to start. Apart from the simple illegality of the vandalism, there is the loss of healthy chicks needed to rebuild eagle populations that are still recovering from the decimation caused by DDT. There is also the less quantifiable but still very real loss to local people whose daily glimpse of wild nature enhanced their urban lives. No-one who has seen free living Bald Eagles will forget the experience. Necessary background information on Bald Eagles. It is not widely appreciated how many wild animals have now moved into urban areas. Many are familiar with racoons, skunks and coyotes but the full list is much longer. If you look carefully in any large wild area in the Lower Mainland (particularly those near a pond), it is common to see beavers, otters, and unusual bird species such as Peregrine falcons, Owls and other raptors. These animals allow us to maintain our awareness and connection with the wilderness that is so easy to forget during our frantic modern lives. Anyone who has seen an eagle or otter during a weekend stroll in the park, will remember that sight. Urban wildlife, and the remaining wild spaces they inhabit, are immeasurably valuable additions to our lives and must be protected. Bald Eagles are no exception to this wildlife migration to urban areas. When local biologist, David Hancock, first started studying eagles over 50 years ago, he could only find three nests in the whole Lower Mainland. After much of the world stopped shooting predators and after DDT was banned in 1973, this picture changed steadily. There are now dozens of active nests across Delta and Surrey with more adventurous eagle pairs turning up in surprising places. For example, there is an active nesting pair on East Hastings, right next door to the crowds at the PNE – just look upwards next time you are queuing for a ticket. The breeding cycle usually starts in October when the parents return after a short migration up the coast to Alaska following salmon runs. They repair their nests and then settle in for winter. Timing varies but eggs are laid in February and March, then hatched 35 days later. Chicks grow rapidly and are the size of their parents in only 3 months. Youngsters take their first flight in late July then they, and their parents, leave the nest separately for Alaska, only to return in October to begin the process again. Trying to understand the mentality of someone who could break this ancient and unknowable mystery with a chain saw, is an impossibility. While eagles have moved into town, they are still very wary of humans. Since their nests can grow to the size and weight of a VW Beetle, they need strong trees. These are in short supply – the Cottonwood that was destroyed at Croydon Drive was the only suitable tree in that area so any nest replacement strategy will have to be based on an artificial platform. They need to be close to water plus a food source and, above all, they should be left undisturbed. Politicians need to hear a loud voice from citizens. This link to the Hancock Wildlife Foundation website leads to further information such as email addresses for local politicians plus an EAGLE OUTRAGE petition where people can register their outrage about the nest destruction – and an EAGLE OUTRAGE Schedule of Events. Eagles have used the current site for a decade so access to water and food presumably meets their needs. Privacy remains an issue, so we are asking people to join together to insist that a protected eagle reserve is established in the undeveloped Croydon Drive space of at least 10 acres. The buffer area around the new nest will need to be replanted with suitable vegetation. The proposed eagle reserve must be free of future development. No new laws are needed – it is simply necessary to enforce the BC Wildlife Act that already exists. And the fines for Violation can be huge! There are no suitable trees in that area so nest rehabilitation will require significant investment to cover the cost of erecting an 80 foot support pole topped by an artificial nest. Croydon Bald Eagle Nest Cut-Down — The Eagle Outrage! The Croydon Drive Bald Eagle Nest in Surrey, illegally destroyed July 24, 2018, must be the last Bald Eagle nest tree ever again cut down in B.C. without adequate mitigation plans. As citizens with a deep concern for British Columbia’s wildlife, we wish to register our strong support for the full protection of Bald Eagles in our Province. These magnificent birds have rebounded from Threatened Status in North America within the last few decades, and are now flourishing in the Lower Mainland. We support their protection at all stages of their life cycle. We have also attached a list of Government, City and Provincial officials, to send your protest to. Finally, is a section dealing with the laws to protect our habitat, particularly in relation to the protecting Bald Eagle Nest and associated Habitat. And then how you can assist in these laws intended uses. Eliza Olson/Burns Bog Conservation Society. For the full text of what was sent to the governmental agencies being approached regarding this, please click this for a PDF version of it. This includes a list of all the government people it was sent to. Below are attached a list of initial ‘outraged organizations’ Please contact Anne Murray: [email protected] to add your organization to this list. 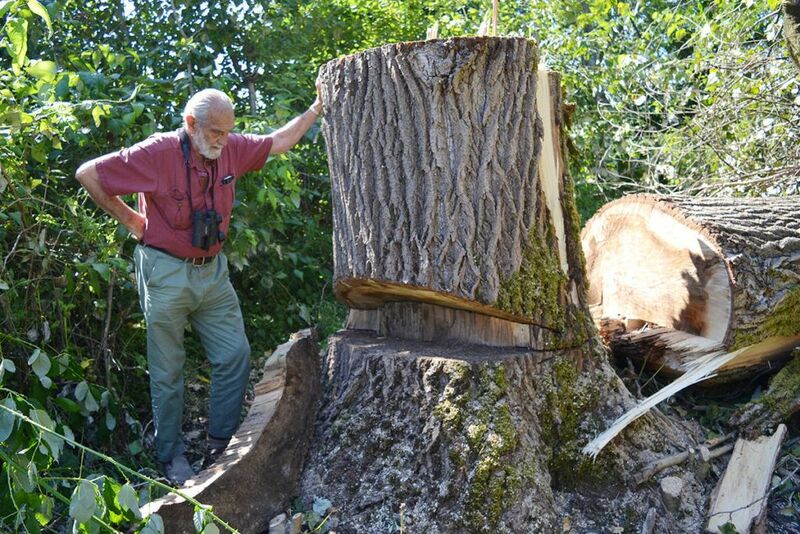 The Croydon Drive Bald Eagle Nest in Surrey, illegally destroyed 24 July 2018, must be the last Bald Eagle nest tree ever again cut down in B.C. without adequate mitigation plans. As citizens with a deep concern for British Columbia’s wildlife, we wish to register our strong support for the full protection of Bald Eagles in our province. These magnificent birds have rebounded from near extinction in North America within the last few decades and are now flourishing in the Lower Mainland. We support their protection at all stages of their life cycle. There are currently 79 nesting territories in Delta, the highest number of any city in the world, and 43 in Surrey. We support their presence in our communities and are opposed to their nest trees being destroyed. We furthermore wish to state our support for the proactive mitigation proposal by the B.C. Ministry of Forests, Lands and Natural Resource Operations and the City of Surrey following the loss of the active Bald Eagle nest at Croydon Drive, Surrey. This proposal includes (a) the immediate preservation of the lands and trees surrounding the old Bald Eagle nest (under City of Surrey Bylaws), and (b) the erection of a pole and nest to be in place by September 10 so that the eagles returning from their northern migration see an alternative nesting site ready and waiting. We are also in support of the enforcement of the BC Provincial Wildlife Act to the full extent of the law, which states that Bald Eagle nests are protected for all 12 months of the year, including the imposition of maximum financial penalties on offenders. Petition To Protest “Bald Eagle Nest Cut-Down” – Please Sign! BC Government Contacts: Collective of all above! Response: What do the Citizens Want! Organize! Karen Bills: HWF Coordinator: [email protected] – For any updates to this web site. Aug. 30 7:30 PM Public Meeting: David Hancock to make Presentation on the Croydon Bald Eagle pair – their life, violation – and hope for the future. Here’s a couple of pictures of the standard Eagle mask used in the past. Imagine the effect of 1000's of people showing up with these on! They are very simple to put together, just make sure that the elastic length is snug, but, not loose, nor too tight! How the BC Wildlife Act can Stop the Abuse! Approach: Each violation needs a Project Coordinator to coordinate the above. Someone needs to step forward — or nothing happens. The BC Wildlife Act: Section 34. “Birds, nests and eggs” 34 A person commits an offence if the person, except as provided by regulation, possesses, takes, injures, molests or destroys (a) a bird or its egg, (b) the nest of an eagle, peregrine falcon, gyrfalcon, osprey, heron or burrowing owl, or (NOTE: (a) & (b) applies to any part of season or for any reason) (c) the nest of a bird not referred to in paragraph (b) when the nest is occupied by a bird or its egg. Here are some current ways for the public to think and evaluate the full impact that disturbance of Bald Eagles can have and how these disturbances can be used to save the eagles and the habitat – this is but one government perspective from one type of disturbance. The local conservationists need to support the Wildlife Managers in gathering the following data to assist the Conservation Officer who has to lay the Charges before, and seek the penalties of, the Judge. 1. To document wildlife values lost as a result of multiple unlawful/vandalism acts and subsequent felling of a Bald Eagle nest tree. What are the full natural attributes of the habitat surrounding the bald eagle nest? What other migratory birds or ?? plants species use this area? 2. Provide a recommendation for nest tree replacement or Supplementation to Support a New Nest. The Hancock Wildlife Foundation has extensive experience in modifying trees, so eagles can nest in an otherwise unsatisfactory tree, to installing temporary poles and nests until new trees grow. 3. Provide long term habitat protection recommendations for a vegetated disturbance buffer to surround an artificial eagle nest structure. “Propose a Bald Eagle Preserve to save eagles and other wildlife for future generations”. The final mitigation should include follow-up monitoring. Again, HWF has examples of setting up Bald Eagle Preserves, treasured habitat or setting aside Parks. First, the key is often stopping the violation by phoning the two levels of government. Then go to the “potential offender if they are known (he may not know what is happening on his property! ), and go to the press. (iii) somebody needs to contact violator if known to seek politely the termination of the bad act. (iv) Coordinate with local Conservation groups – Natural History Clubs, they often have media contacts. (v) go to the PRESS – TV, Radio and local and regional papers. 2. Copies of the pertinent BC Wildlife Act Clause — above. 4. A plan to rally the Public – Find a coordinating person & group! 5. KEEP AT IT !! Fines can be Really Onerous, particularly when destroying Bald Eagle Habitat. This Section addresses how the Court can direct Additional Fines (84.3) to Equal any monetary value the Violator has gained by his violation. Does property with an eagle's nest that must be protected change value if the bald eagle nest is removed and the intent is to convert the property to housing or commercial development or even just have a "more expensive view”? Perhaps only by a few million dollars per hectare! If a person is convicted of an offence under this Act and the court is satisfied that, as a result of the commission of the offence, the person acquired any monetary benefits or that monetary benefits accrued to the person, the court may order the person to pay a fine equal to the court’s estimation of the amount of those monetary benefits. (2) If a person is convicted of an offence under section 22 or an offence prescribed under section 108 (3) (l) (iii) and the court is satisfied that the person was engaged in a commercial enterprise in relation to the commission of the offence and that monetary benefits could have accrued as a result of the commission of that offence, the court may order the person to pay a fine equal to the court’s estimation of the amount of those monetary benefits. Does cutting down an eagles nest tree for improving a view add $100,000 to your property? If you can squeeze in another house lot or two, does that equal $2,000,000? Interesting that good habitat for wildlife has value? Each violation needs a Regional Project Coordinator (could apply to anywhere in world!) to coordinate the above collection of data to support the charges. YES – the public's interest and assistance can make a difference in the real world. Just remember, if the Developer has friends he will be trying to get them to by-pass the law’s full impact. Citizens need to step forward — or nothing happens. Also, local citizens know when a developer is destroying their neighbourhood & wildlife habitat. Sunday, September 9,	2:00 pm at Croydon Drive, Surrey. At the site, off 24th Avenue (Grandview Corners), south on 160th Street (it becomes Croydon Drive south of SuperStore), at the corner of 20th Avenue. Please contribute your own ideas by coming along to a public meeting on Sunday 9 September, 2:00 pm, at Croydon Drive. If we don’t speak for the eagles and other wildlife, then only the voices of money and mindless development will be heard. Destruction of the Bald Eagle nest on Croydon Drive, Surrey and the debate about the value of wild spaces in our urban environments. Background. The Croydon Eagle Outrage! The recent destruction of a Bald Eagle nest at Croydon Drive in Surrey, is not a minor issue raised by a bunch of tree huggers who are out of touch with modern economic realities. This is a vital question for anyone living in a growing urban environment. If you want to live in a place that enriches your life with green spaces and wild animals, then your voice must be raised in protest. Silence from citizens allows the spurious arguments of efficiency and density to guide city growth, resulting in profits for a few and a soulless concrete jungle of high-rises and endless malls for the many. We still have wild areas that can be saved from development and protected for future generations but urgent action is needed now. If citizens become involved then that loud voice will help persuade decision makers to avoid short term gains in favour of more enlightened far sighted policies. This short review is intended to provide interested citizens essential background knowledge concerning urban wildlife and their need for protected living space. It uses the destruction of the Croydon Drive nest as a perfect example of the results of unregulated development driven by nothing other than a desire for more money. Bald Eagles mate for life and this particular pair had built and maintained a large nest in a Cottonwood tree near Croydon Drive in Surrey that had stood for at least 10 years. By the time of its destruction, the nest had likely grown to a weight around 300 pounds. It was easily visible from Highway 99 and was well known to local residents. On 24 July, it was reported that the trunk had been severely damaged by recent deep chain saw cuts. The tree had not been completely cut down but the trunk had been so badly damaged that the tree, and its nest, had to be felled for safety. No permits had been issued for the removal of the tree so this act of thoughtless destruction contravened the Wildlife Act and was clearly illegal. It is not yet known who instigated and carried out this act of vandalism. loss to local people whose daily glimpse of wild nature enhanced their urban lives. No-one who has seen free flying Bald Eagles will forget the experience. It is not widely appreciated how many wild animals have now moved into urban areas. Many are familiar with raccoons, skunks and coyotes but the full list is much longer. If you look carefully in any large wild area in the Lower Mainland (particularly those near a pond), it is common to see beavers, otters, and unusual bird species such as Peregrine falcons, Owls and other raptors. These animals allow us to maintain our awareness and connection with the wilderness that is so easy to forget during our frantic modern lives. Anyone who has seen an eagle or otter during a weekend stroll in the park, will remember that sight. Urban wildlife, and the remaining wild spaces they inhabit, are immeasurably valuable additions to our lives and must be protected. Bald Eagles are no exception to this wildlife migration to urban areas. When local biologist, David Hancock, first started studying eagles over 50 years ago, he could only find one single nest in the whole Lower Mainland. After DDT was banned in 1973, this picture changed steadily. There are now dozens of active nests across Delta and Surrey with more adventurous eagle pairs turning up in surprising places. For example, there is an active nesting pair on East Hastings, right next door to the crowds at the PNE – just look upwards next time you are queuing for a ticket. begin the process again. Trying to understand the mentality of someone who could break this ancient and unknowable mystery with a chain saw, is an impossibility. Any response to the vandalism of the Croydon nest must be based on a good understanding of Bald Eagle biology. As noted above, if eagles are to nest and breed successfully, there are some basic requirements that must be met. The most important of these is that any rebuilding efforts must be completed before the birds return in early October. If they see human activity where their nest used to be, it is unlikely that they will stay in the area so a sense of urgency is essential. Politicians need to hear a loud voice from citizens. This link to the Hancock Foundation website - https://hancockwildlife.org - leads to further information such as contact addresses for local politicians plus a petition where people can register their outrage about the nest destruction. The proposed eagle reserve must be free of future development. No new laws are needed -it is simply necessary to enforce the Wildlife Act that already exists. WHERE: At the site, off 24th Avenue (Grandview Corners), south on 160th Street (it becomes Croydon Drive south of SuperStore), at the corner of 20th Avenue. Here's a link to the gathering today at the site where David with Mike and others talked about the Croydon nest ....that used to be there. Video by Christian. The Press covers the Croydon Eagle Outrage Protest! Check back for more links to come! Hancock here -- report on the "beginnings" of the Croydon Outrage. First, let me thank all our directors, HWF supporters who helped and got very wet and the 30++ mail-forwarders from all those lower mainland conservation organizations who kept telling their members that this is important - and many who arrived wet. Thank you not just for all the work and the kind words but for recognizing that this is an important landmark. Croydon in the rain can definitely be wonderful - in spite of vandalized bald eagle nest and tree - it was wonderful to hear what this nest – and others in the Valley - has meant to so many. Eagles have always been iconic to me - but always so reassuring that this species means so much for all habitat lovers. I was so busy doing over 10 interviews that I hardly had time to thank the soggy participants and particularly all the writers, producers and camera crews who logged it out. Thanks. I just noted that the last item to arrive was from Dennis Watson who posted us to his “Gangster Out Blog” - and posted the attached images that show some of the “Outrageous Followers” – thanks Dennis. So now where? Now the two big issues. 1. We have to keep this Croydon Eagle Vandalism – hot and center. I want an eagle’s nest right away. The developer must surely be given this note. So here is ‘his’ moment to stand up and be counted as a positive force in Surrey. My number is: David 604 761-1025. Lets find some alternative for these eagles IMMEDIATELY - it does not have to be right on this spot and it does not have to involve pleading guilty to this vandalism. What this ‘goodness means is getting this wrong righted - and immediately”. This landowner is known – does he have a family who wants to be proud of him? Let’s make the eagles and the Surrey Residents happy. 2. This region is about to go into Civic Political Elections - we now need to develop a set of questions to probe the heart and minds of those wishing to seek our votes. This note is to those 30+ organizations OR ANY INDIVIDUALS who can help pose the right questions. Please write me. [email protected]. Just checking in to ask if there are any updates for the installation of a new eagle nest? Have the eagles who used the nest destroyed returned and or been seen? Hope this works out for the eagles. Thank you for all the work been done to bring this to the attention of the public. I asked David Hancock about this when I spoke to him on the phone yesterday, and it sounds as if not much has been done. As far as I know, they haven't been able to prove who damaged the tree, so no charges have been brought. I hadn't realized that this nest is fairly close to the Surrey Reserve nest, and the fishing territory of the Croyden eagles is either adjacent or very close to the fishing territory of the Surrey Reserve eagles. We haven't seen any intruder issues at Surrey Reserve, so maybe they have found somewhere to nest. I'm sure David will be looking, and it will be easier to see now that the leaves are coming down off many of the trees.